Just picked up a Tungsten CW380 and pleased with its performance so far. Sold off my LCP custom because of the sights catching on pocket holster making my draw difficult. Gave the CW380 a crack and so far so good. Left the slide locked back for 24 hours and then racked the slide about 200 times. This bugger is tight! Made sure the gun was heavily lubed before going to the range. I ran 150 rounds of Aguila ammo with no issues. I then ran 20 rounds of Underwood 65 grain extreme penetrators. All 20 functioned perfectly. Have read many folks having issues with their CW380’s and figured I’d post my experience. Excellent. Glad to hear a good report. Thanks for the report and excellent photo! Congrats on the new acquisition! 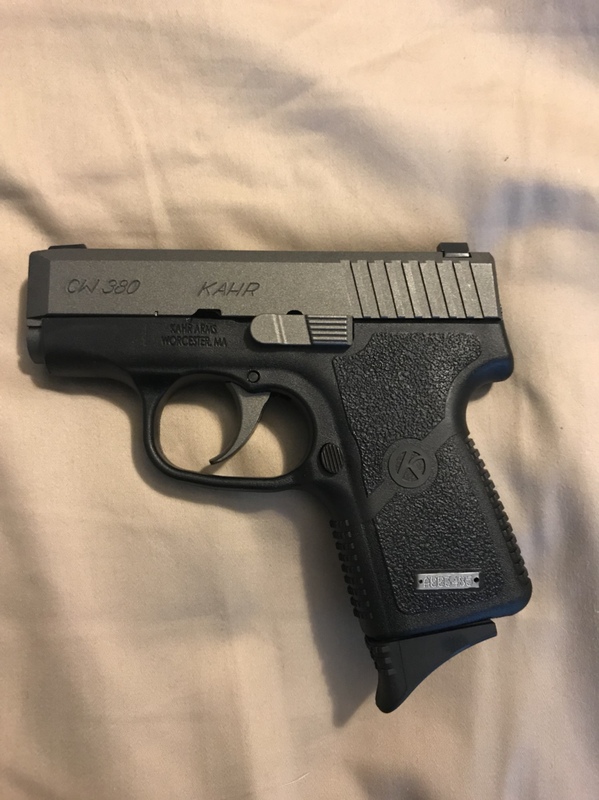 My tungsten shot and held so well that I ordered a standard mag for it. The finger extension isn't as needed for me as it is with other guns. It also made quite a difference in my pocket. Never thought I'd like the feel of a gun without my pinky on it, but this little gem gets it done. My CW380 gets it done for me as well...the grip is perfect without an extension. If the Pico I owned previously had had the same grip, I probably would have kept it.